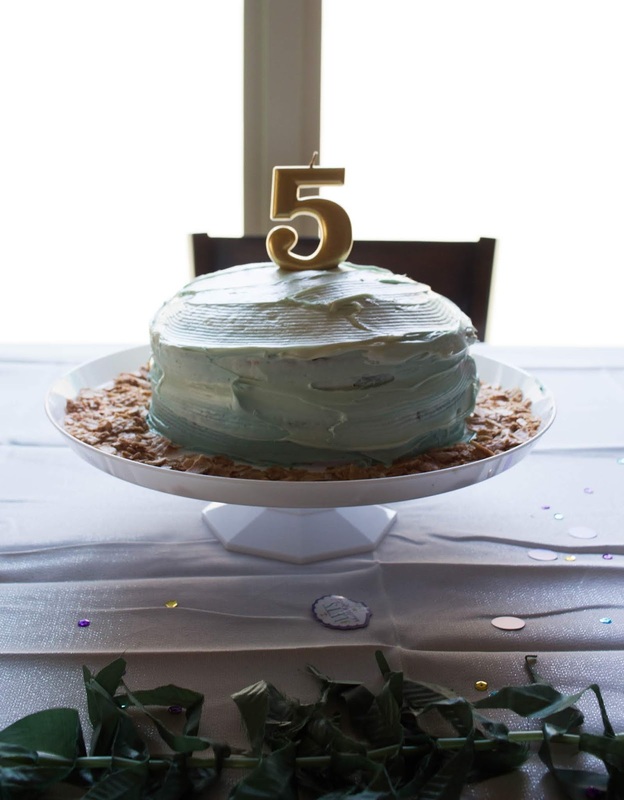 This last weekend we celebrated our precious Lyla's fifth birthday, I still cannot believe we are parents to a five-year-old. It feels like just yesterday she was just an itty bitty baby and now she's this bright, adventurous, independent little girl ready to take on kindergarten. Ugh, such a bittersweet moment as a mother and yes, you can bet I cried about it too. As much as I wish my little bean could stay little forever, watching her grow has been my life's greatest blessing. 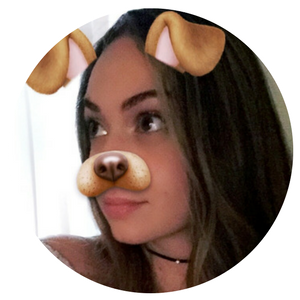 I feel so grateful that I have been able to be by her side for every little milestone, she truly is my best friend. Thank you all for your best birthday wishes! We had such a blast throwing her first birthday in our new city with new friends. 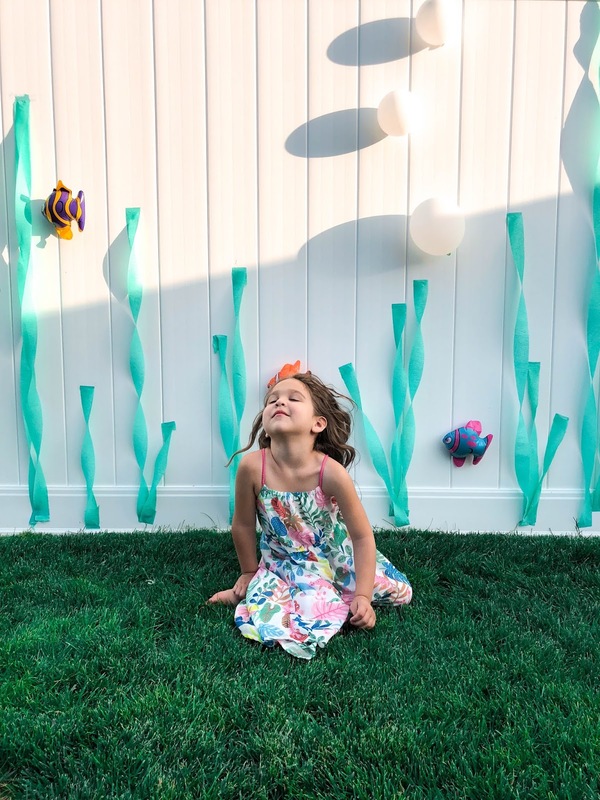 Our little ocean babe asked for a mermaid birthday party this year -- I think it's safe to say she misses the ocean, so do we. It was fun to bring a little under the sea to the desert. This balloon arch was our very first and done like an hour before the party after realizing the night before that blowing balloons at 25 weeks pregnant felt like I was going to push a baby out. So, I went to purchase a balloon compressor first thing in the morning. Also worth noting, I couldn't find any of my needles and I threaded fishing line through them using a skewer -- improv levels off the chart. 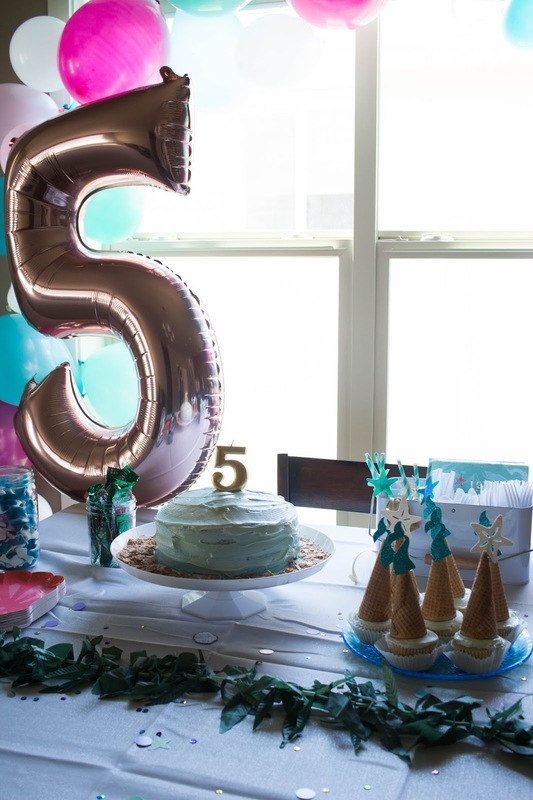 I wanted the dessert table to be the focal point of the party and used gummy sharks and watermelon airheads (seaweed) to fill glass mason jars next to a homemade ombre cake and ocean themed cupcakes. I totally would've opted for someone else to bake being that I'm not the best baker, but store-bought icing/cake makes both Lyla and I sick. 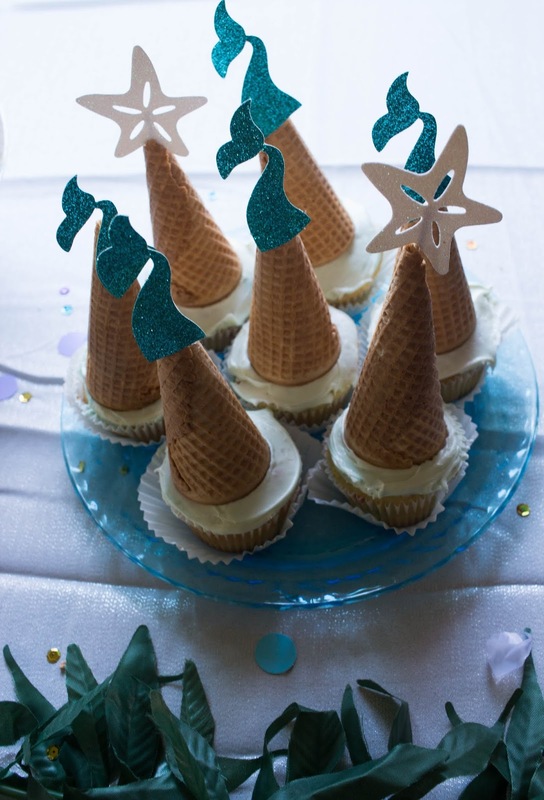 She was very specific wanting a strawberry cake and funfetti cupcakes, which we topped with cones and these cupcake toppers we found. I added fresh strawberries to the middle of the cake and iced it with homemade cream cheese frosting and added blue and green food dye to achieve an ocean ombre look. Summer is hot here in the desert so we kept all the food (pasta salad, veggies, dip etc) indoors and the activities outdoors. Outside we grilled hamburgers and hotdogs and had rented a wet bounce house from a local party rental company, the kids enjoyed it, but I am most proud of this little outdoor fence decor I thought of. 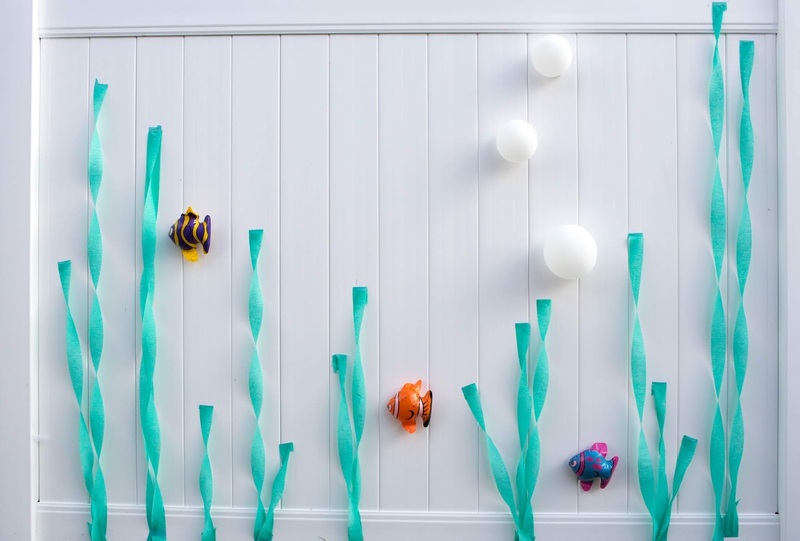 I found these cute blow-up fishies from Party City and a lightbulb went off in my head that I could totally make the streamers I bought look like seaweed on our fence. A simple and inexpensive way to spruce up the under the sea theme. 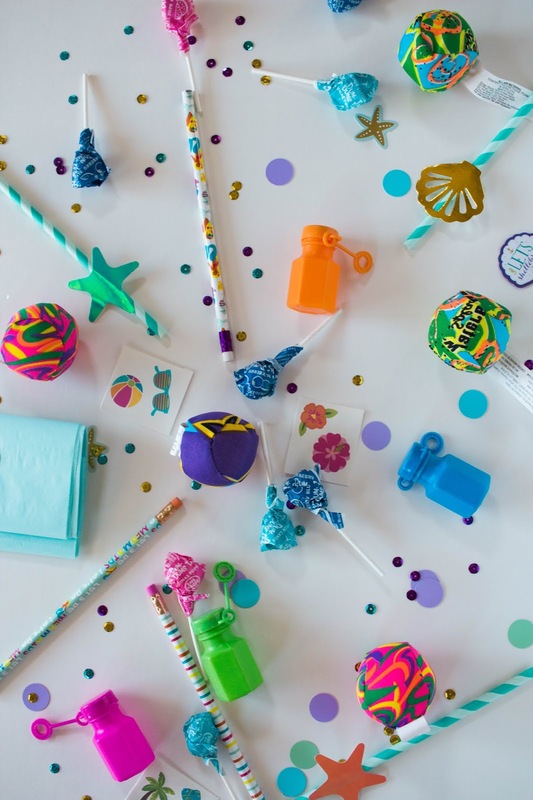 Our gift bags were inspired by last year's Unicorn birthday party, which happened to be a hit on Pinterest. 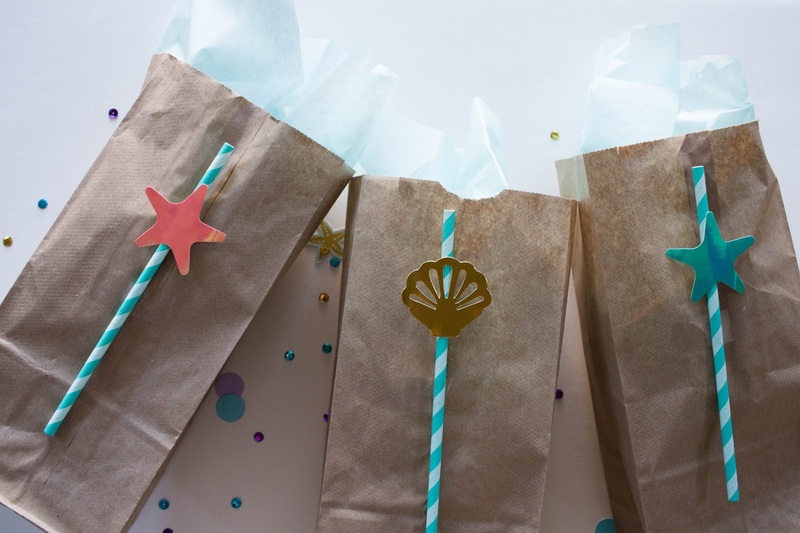 I love the idea of dressing up paper lunch sacks, we gave these out right before we did the pinata and the kids stuffed all the candy inside and were able to take all of their goodies home. Lyla had a blast and I'm so happy that we could make her 5th birthday special for her, she took the move pretty hard but I think this helped show her that she can make friends and have fun anywhere. She was all smiles and giggles the entire time. We were all beat afterward and upon Lyla's request, we had a movie in the living room which ended in an unintentional family sleepover.